When it comes to innovation, there are numerous ways to improve products and performance. 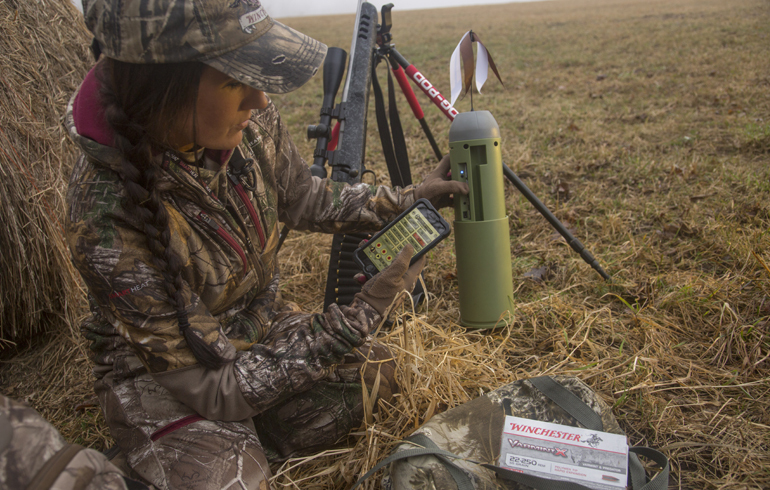 Currently, varmint and predator hunting is one of the fastest growing segments in the industry. Thanks to Winchester’s innovations, there is now a load to meet the requirements varmint and predator hunters have. Something like this takes years of research and development and luckily for Winchester, they have a long history of making the best of the best. In fact, Winchester is celebrating their 150-year anniversary this year, so it’s no wonder they have always been on the front lines of innovation. With 150 years of experience, it’s undeniable that these years of research and development would pay off big to hunters and shooters across the world. The first question Winchester had to address was, what exactly does a varmint and predator hunter want and need? Long-range accuracy is a must. To accomplish this, Winchester created Varmint X. First of all, they use a rigid polymer tip that delivers faster and flatter trajectory. Plus, it only punches a small entry hole which significantly limits pelt damage. However upon impact, the bullet quickly fragments to put critters down. The hunter gets explosive terminal performance, an accurate round, and minimal pelt damage giving furs their maximum value. My entire family and I have been huge varmint and predator hunters ever since I can remember. Even for people who don’t spend their winters chasing coyotes and other predators, it’s extremely important to understand the importance of managing varmint and predator populations to ensure balance. I’ve seen years where coyote numbers jump to an all time high. Coyotes end up killing a huge number of fawns, over populate, and then nature runs its course to thin the coyotes down. Unfortunately, nature is quite cruel. Coyotes begin to develop mange. In a state like Minnesota, this almost always means death to red fox. Too, coyote will tend to scratch their fur out until they have nothing left. Thus, they are left with no or very light fur to get them through a harsh winter; most times this results in death. As hunters, we then see these coyotes lying out on snow banks trying to warm up with the sunshine with only a little tuff of fur left on their tail. Even though I am not a fan of coyotes, I hate to see anything suffer. But, this is the reality of what happens when they overpopulated. I prefer to keep numbers in check by getting people out to experience the excitement of varmint and predator hunting. Not only are they fun to hunt because of their incredible senses, but a hunter can also learn a ton about skinning the animal, tanning, and how to sell the hides to fur traders. Most predator hunters agree that it takes a very skilled hunter to call in coyotes or fox, to create the perfect setup and then make a great shot. Too, varmint are wiley critters so they are not an easy target either. 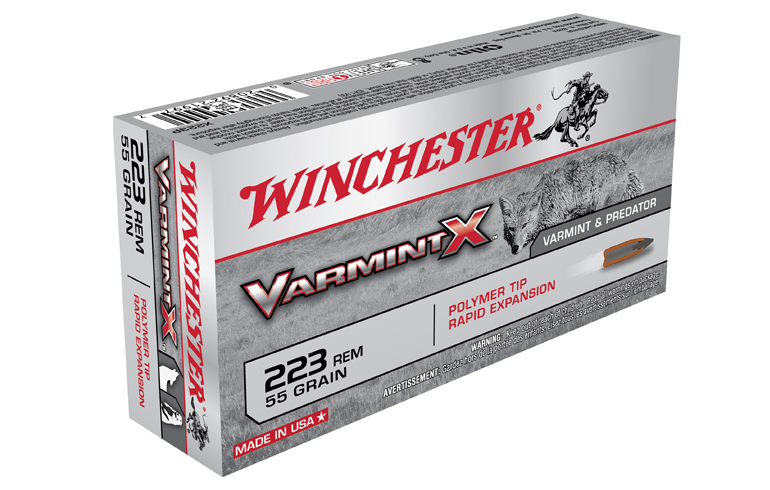 I love the fact that Winchester has dedicated a significant amount of time to creating the best load possible for varmint and predator hunters. Because of these innovations, we are more effective in the field. I guess 150 years of new product technology keeps shining through for those of us who love to shoot varmint and predator…thanks again Winchester!